Is this "Intel® Optane™ memory module" attatched directly to the mamory channels or is is off on some direct to the CPU PCIe lanes on a NVM/M2 slot. Intel is supposed to be producing DIMMs that mix both DRAM and XPoint on the DIMMs and that is attatched to the memory channels and not any PCIe lanes. It's m.2. They have PCIe NVMe options as well, but chose to place a SATA HDD in there and implement Optane caching instead on these SKUs. e.g. L1, L2, L3 caches in CPUs etc. pair of dual channels, to a memory resident OS. in an upper-most memory range. Now, think back to Intel's triple-channel architecture. (or comparable non-volatile memory of similar performance). RAID mode dictated by a preferred system design). ASUS Hyper M.2 x16 card, for 2 available products. RAID-0 array of 4 x M.2 NVMe SSDs (instead of only 2). "But will it allow you to run more applications or games that might need or want more than 8GB of system memory? " Well, it is far better than paging to a HDD, and to be honest the average user probably rarely use the kind of applications where such paging would be noticeable. There was a very sophisticated "least recently used"
for use by more active programs. consisting of 2x or 4x NVMe SSDs? between real and virtual memory addresses? It does 100% nothing for running more applications at the same time. Applications do not see the optane modules as RAM, and they are similar to their older SSD caching technologies, but are less conservative in their use since back in the day, an 8GB to 32GB SSD had very limited writes. Optane has far better write endurance and better response times than an SSD, so it focuses more on cashing data that the hard drives struggle with the most, and it will more readily replace that data as needed, as write endurance is less of an issue. The issue is that optane will not really cache the pagefile, as it changes far too often to benefit from it. For optane to be considered as RAM, it would need addressing similar to how the GTX 970 did 3.5GB + 512MB. 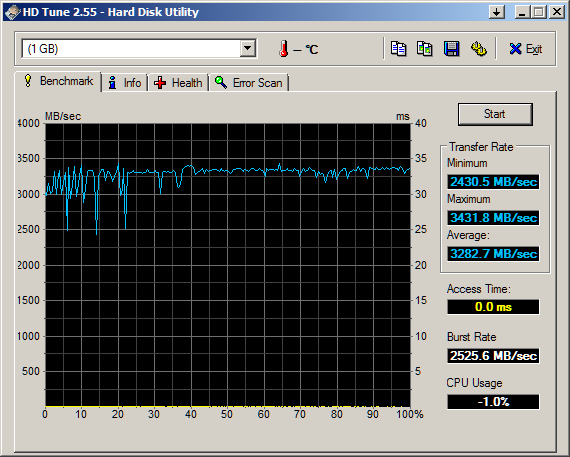 The last 512MB was a fraction of the speed (similar speeds to desktop dual channel DDR3 2133). The drivers treated that last 512MB as a level 2 RAM where compressed data and less frequently access data was stuffed in it. Optane is not seen this way by the PC, you cannot address it as RAM. Overall it is false advertising and will be used to mislead less technical customers. When a retail store gets a hold of it, you will see the 24GB in huge font, and the 8 point font for the fine print listing 8 GB of RAM. It is just like when some stores advertised PCs with 4GB video memory and charged more than prebuilds with faster cards but only 1-2GB of video memory, because the 4GB one was really a card with 512MB or RAM or less, but had turbo cache or some other crap, and they were effectively able to trick some people into spending more money for what was a slower system. Unless it comes with the speed/latency of DRAM and also the endurance then it's just more smoke and mirrors and slight of hand nonsense from Dell. Remember the Dell laptops with only 2 PCIe 3.0 lanes made available to the TB3 controller chip on those laptops, 40 Gb/s my A$$ from only 2 PCIs 3.0 lanes! And the same goes for all that USB-IF naming confusion related to USB 3.1 and the Type-C plug from factor nonsense that the Laptop OEMs gamed to fool the consumer into expecting 10Gb/s when that USB 3.1 was listed without the Gen 1 or Gen 2 bening included as to lie by omission. Laptop OEMs can not really be trusted to be truthful when they are gimping things down and trying to overcharge the consumer while no one is paying attention. If it is caching the main hard drive and the page file is on that hard drive, then the Optane memory will end being used as a page file. If you exceed the amounts amount of system memory, then your machine will probably still slow to a crawl. There is still a big difference between even Optane and actual DRAM. Perhaps there is a conspiracy to get people to buy Optane memory by overcharging for DRAM. Maybe it is just a conspiracy to overcharge for DRAM though. It seems like a conspiracy though. I only slept 4 hours last night. Goodnight. I don't have a problem with Dell saying 24 GB memory. They do clearly show that the 24 is composed of 8 GB of RAM and 16 GB of Optane. It would be awesome if they used the Optane to cache a large, inexpensive SSD instead of a hard drive. I think the idea of Optane cached, QLC SSD's would be awesome. The only question about thes DIMMs(1) is do they require the latest Intel processors. But It does look like DIMM/XPoint SKUs are going to be available soon. So that's XPoint/NVM that's over the Memory Channel and Not PCIe. "Optane DC Persistent Memory puts 3D Xpoint goodness in DIMM slots"